Anthem Blue Cross offers a full range of health insurance options through Covered California across the State. You can get the exact same plans, rates, and networks in Covered Ca as you can directly with Anthem Blue Cross. There might be a huge advantage to getting the Covered Ca version though. Covered Ca will pay part of the bill if you qualify based on income. Let's first understand how this works and then we'll look at the Anthem Blue Cross options available on the market for 2016. Covered Ca Tax Credits and Anthem Blue Cross Plans! We get Covered Ca to pay part of the monthly premium. It's all based on income now. A few key points on the income ranges. The income calculation can be tricky and you don't want to get it wrong. 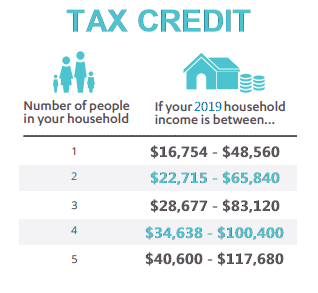 You might estimate too low and have to pay back tax credit at filing time. You can avoid both situations. Call us at 800-320-6269 to get your maximum tax credit. Our services as Certified Covered Ca agents are free to you! Depending on your income, you may even qualify for Enhanced Silver plans. These are the Silver 73, 87, and 94. They are much richer than the standard Silver plan for the same price as the normal silver. Anthem Blue Cross offers versions of these plans in every area they participate in. If you're offered the Anthem Blue Cross Silver 87 or 94, you can stop shopping. They are amazing plans and values. We can help you figure out which one you might qualify for with Anthem Blue Cross for Covered Ca. 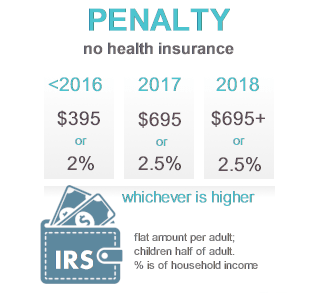 Anthem will also offer an HSA version of the Bronze plan which allows for people to fund a tax-favored HSA account and pay medical/dental bills with pre-tax money. We can help you evaluate this option at 800-320-6269 or by email! The availability of a tax credit and the enhanced Silver plans will have a big impact on which way to go. Anthem offers one of the strongest Covered Ca doctor networks available in the form of HMO, PPO, and EPO networks. Keep in mind that networks will generally not apply for a true emergency but be conservative on this item. Anthem Blue Cross may offer all or just one of these network options in a given area. Some rural areas may only have PPO. Some parts of the States will have EPO while others will have PPO. The benefits at a given metallic level (say Silver) will be almost identical between the various networks! It really comes down to doctors available and pricing of the plan. The Covered Ca networks are smaller than employer sponsored plans and/or the old grandfathered plans (circa before March 2010). The Covered Ca networks are IDENTICAL to those available outside of Covered California. They are all ACA (Affordable Care Act) networks but the doctor offices all know the term "Covered California" so make sure to include this if asking the office about their participation. We can help research your doctors quickly. Just email us their names and city and we'll confirm that they participate in the Covered CA Anthem Blue Cross network. There are multiple networks now so let us do this piece to make sure there are no surprises later on. or Call 800-320-6269. Our services are free to you! Anthem has consistently been well priced on the marketplace. They account for roughly 30% of total enrollment with Kaiser and Blue Shield making up the other thirds. It's important to let us run your quote with the full tax credit calculation to compare Blue Cross of California's pricing across the different plan levels. With this info, we generally turn around the quote the same day. This is where 20 years of experience in California health insurance comes in handy. First, try our new PlanFinder tool which is an easy step by step walk through. It's part science and part art (seriously) to quickly size up a person's health care and budgetary needs. We'll look at expected or known health care needs and contrast this with the plans/rates available on the market. Of course, we'll try to get the most tax credit available to you. With this info, we can quickly narrow down to the right options including Blue Cross of California plans. 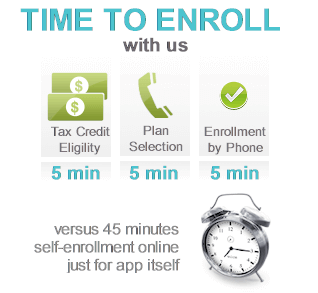 Once we find the right plan and know our tax credit, enrollment generally takes 5 minutes! You can enroll online here for Anthem Covered Ca coverage. Most people who have tried to do this themselves are amazed when we get them through the process. You can see our reviews below. Best of all...as Certified Covered California agents and licensed Blue Cross of California agents, there's no cost for our services. So how can we help you compare and choose the best Covered California Blue Cross plan out there! You can quote all the Anthem Blue Cross Covered California plans across the main carriers through our instant Quote engine.